Our mission is to offer affordable insulation solutions to our every customer by reducing their energy costs, improving the quality of their living or advising them on their unique fire protection requirements. We specialise in-home assessments of needs of the residential property owners and advice the products and services that will have an immense and most energy efficient effect. Sustain Energy Solutions offers best insulation solutions in Hamilton as well as its surrounding areas- Cambridge, Matamata, Morrinsville, Taupo, Te Awamutu, Raglan and Coromandel. Be comfortable and protected: Insulating your home will make the living environment comfortable and healthier. Adding insulation to an existing home will control the temperature, and in places of extreme weather, it will make the living environment more comfy and enjoyable. Moreover, insulation will also act as a sound barrier and will protect your privacy. It will keep unwanted noise outside and the sounds from inside of your home from being audible outside. Sustain Energy Solutions strive to improve the health of homes, commercial buildings, rental properties in the city of Hamilton and its surrounding areas. Our motive is to make your safe home living, comfy and energy efficient so that your family benefits both physically and financially. We strive to remain a sustainable business by promoting the sustainable use of energy and building resources. Nearly two-thirds of houses in New Zealand were built long ago say before 1978 when insulation has not become compulsory. Old-built properties use more energy, rocketing energy prices and emit more carbon dioxide. Fortunately, solutions to refurbish old houses and properties are available in the market which aids in improving thermal performance and cutting-off energy consumption to a greater extent. Are you planning to update your commercial building? Make your commercial building warmer and energy efficient with us. We offer commercial insulation solutions in Hamilton and the surrounding region of Waikato. We provide clients with affordable pricing, great quality, and professional advice and services. 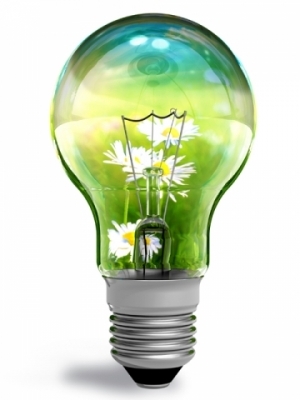 There are often issues with the energy efficiency of commercial properties. It could to difficult to find a relevant and efficient solution to overcome the problem. You don’t need to stress out. The team of experts and professionals at Sustain Energy Solutions has a solution for you. Please get in touch with our team today to get more information about us and a free quote. Call us for a quote at our toll-free 0800 111 785 or 07 859 3634. Sustain Energy Solutions has products for all your Insulation requirements whether it be for energy efficiency, comfort or structural durability. We have products for new and retrofit projects. All of the products that we use are from reputable manufacturers which meet New Zealand Standards. We have GreenStuf Brand Insulation products and Bradford Gold that comply with current environmental regulations. To help with the selection of the best product for you, please call us at our toll-free 0800 111 785 or 07 859 3634. Bradford Gold Insulation makes your house a comfortable and relaxing place to live. Home with Bradford Gold insulation enjoys a pleasant environment, healthier living life and energy efficient. It is one of the best insulation solutions that protects approximately 70% of heat transfers in the home.